It was my third birth and I was tired. Strapped into the hospital bed, I finally cracked. “Ok – just give me the epidural.” I pleaded with the nurse. I had dilated to 6 cm and had been in labor for about 7 hours. She quickly left the room to fetch the anesthesiologist. Hubby looked at me. “Are you sure?” He said. “I thought you wanted to go natural this time.” Can’t do this. Not with this Pitocin, I thought. “I need the epidural,” the waves of agonizing pain made me grip the bed even harder. Minutes later the doctor and nurses were by my bedside numbing my back. I leaned over, gripping hubby, as they inserted a sharp needle into the epidural space near my spine. I hate this part, I thought, as more horrid waves of pain rushed through me. Minutes later my blood pressure fell. The next contraction started low and ran up my belly. I begged the doctor to make the pain stop, but it was happening. The baby descended so quickly – it left no time for the epidural to take effect. This can’t be happening. I said aloud. This can’t be happening. After I recovered from that birth, I was sad. There had to be a better way. A better way to cope with labor than being strapped to a hospital bed, Pitocin running through my veins, begging for pain meds that didn’t even work. Seriously. Is it possible to manage labor pain when being induced? So, I searched and searched and found a much better way. I birthed my next four without the use of pain meds (even though 2 were Pitocin inductions!) I had epidural-free inductions with all four of my last births. Why do all these pregnant women walk around the labor and delivery wing? A couple of reasons: Walking helps the baby descend, which puts pressure on your cervix, and can speed up contractions. I addition to this, it also helps with pain. I remember walking during many of my births and walking and standing helped dramatically to lessen the pain. When your energy runs low, try leaning over a chair or hold your partner and sway. This can bring amazing relief during intense contractions. Most likely, if you already are on a Pitocin drip you won’t be allowed to do this next thing. But, getting in a warm bath can ease the pain. During my 5th birth, I was able to use the jacuzzi style bathtub, in my hospital room, and it was like a mini epidural. No, it didn’t numb me, but it did help me cope with the pain. If you can’t get in a bath, try a shower! Try using a birthing ball. I used one for my last four births and during transition, I only wanted that ball. The best thing is to place it against the side of the bed. Sit on the ball with your hips spread slightly for balance and then rock back and forth – while holding the bed for support. Do what feels comfortable. For me, I found this to help baby descend. It was also good to move in this rhythmic motion during contractions. The best part is it allowed my baby and contractions to be monitored while also allowing me to be hooked up to the IV. The squatting bar is known, also, as a birthing bar. Your nurse can hook it up to your bed. You just hold on to it and squat during the contractions. This bar allows your pelvis to expand and helps by using gravity to pull the baby low. If you need to lie down, this one might help you. It is like a double birth ball which you can use while lying on your side. Simply straddle the ball between your legs during contractions. This helps keep your pelvis wide. There is actually some research that shows this can shorten your labor: here. This is one I’ve used during a few labors. Just hop on the bed and get into a kneeling position. Lean backward with your arms at the top of the bed near the pillow (with the bed in an upright position). It can really help to lean this way if you are experiencing back labor. I became aware of the importance of distractions during my 6th labor. I was in a slow, easy, labor all day which became frustrating and tiring. Once the Pitocin was hooked up and the contractions became powerful I was unable to move as much as I wanted. Hubby pulled out his iPad and turned on an episode of the comedy, The Office, on Netflix. I wouldn’t have believed it was possible to focus so much and get so lost in the moment during delivery. However, it was eye-opening. The power of distracting yourself away from the moment. Not dwelling on the pain allowed my body to do its thing. Breathing is important. For many reasons breathing is important, however, we are talking about the power of managed breath. During my last labor, I forgot this and had a small episode hyper-ventilating toward the end of transition. You have to remember to breathe. One type of labor breathing that has worked for me is this: Once a strong contraction hits you need breath deeply and then let out a slow long sigh-breath. It helps relax your body, provides much-needed oxygen to your muscles, and pushes you through the pain. For more information on how to breathe through contractions click here. Having a support person can make all the difference. You need one person who can advocate for your needs. This might be your husband or it might be a doula. My hubby jokes that he’s my doula, but in all seriousness, without his love and support, it would have been hard to follow through on having natural births. 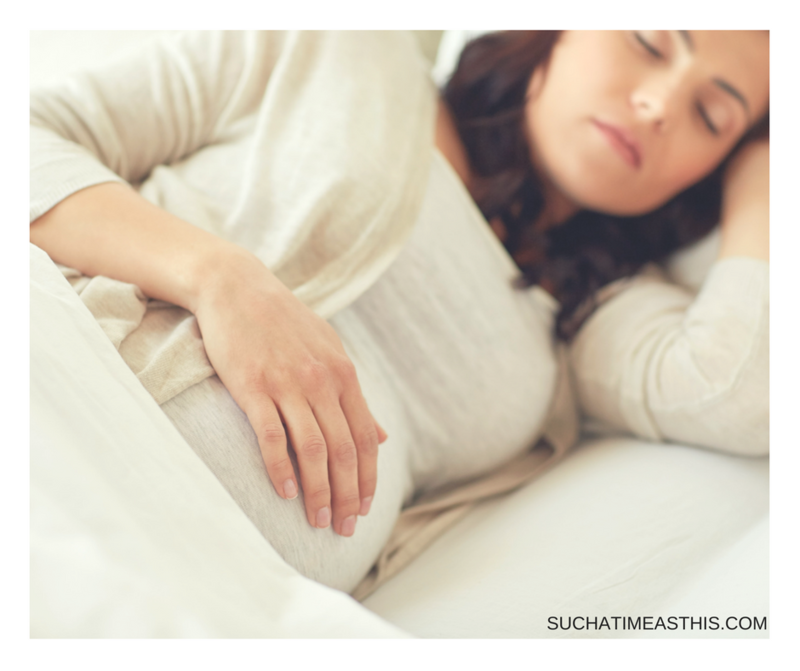 I hope these steps help manage your labor pain when being induced. What helps ease the pain during your labors? P.S. Don’t forget to print out your labor and delivery checklist here! Did You Make These 3 Labor and Delivery Mistakes? Are You Afraid of a Painful Birth? These are great suggestions. My first birth was a pitocin induced labor with an epidural. I went to have 4 drug-free births after my first. My recovery from the first was the longest and hardest. I tore the most in my first also. With my 4 &5 births, I did water births at home! I was utterly terrified with my first, had an epidural was too soon which extended labor to about 36 hours. With my second, I was induced with an epidural without a drip. He came quick and I was able to walk right after! I wish I would have done all your tips, and it will be very helpful to anyone planning on no epidural!